Dove have been hit by a wave of backlash for 'whitewashing' in one of their recent adverts. Dove has been forced to apologise for missing the mark in one of its recent adverts, in which a black woman turns into a white one through using their soap. 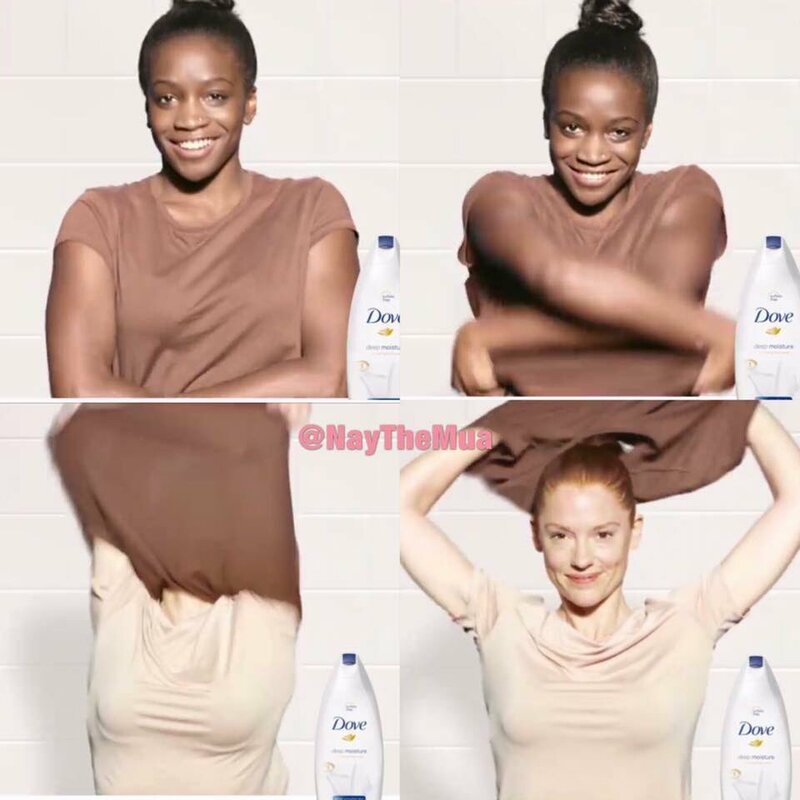 The advert depicts a black woman taking off her top after using Dove body wash, only to become a white woman. The campaign was shared on Facebook, but has since been removed. However, make up artist Naythemua shared screenshots in a now-viral post to draw attention to its clear racism. I LOVE and I am proud of my beautiful, luxurious black skin. I would NEVER whitewash it off. A common insult to black women in the past, but you won't get away with it today, Dove and Unilever. I'm never buying Dove again. Y'all think my brown skin symbolises dirt. The apology seems even weaker in light of Dove's previous lack of foresight in their adverts, suggesting a systematic lack of understanding when it comes to any skin colour that isn't white (or in Dove's words, 'normal'). In 2011, Dove released an advert in similar vain that charted a transition from a black woman to a white woman after using their product. Until brands truly understand the meaning of diversity, and how to appropriately represent women of colour without relentlessly demeaning their worth, they should avoid trying to cash in on race as a means to better sell their products.